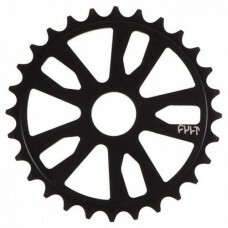 Ryan Guettler signature sprocket. *Full CNC machined 7075 T6 Alloy. *5mm thickness. *S..
Cult Member BMX SprocketTeeth in the center of the sprocket for better chain alignment.7075 aluminum..